When Gustav Holst wrote his Suite for Large Orchestra, "The Planets," Pluto had not yet been discovered. Of course in the years since, it was decided that Pluto was too small to be considered a real planet, so it was demoted to the kid's table. Further complicating the situation, thanks to NASA's New Horizons probe just this past July, we now know that Pluto and its moon, Charon actually circle around each other, making them a double planet. I have hopes that that makes them big enough to be welcomed back into the planetary fold. 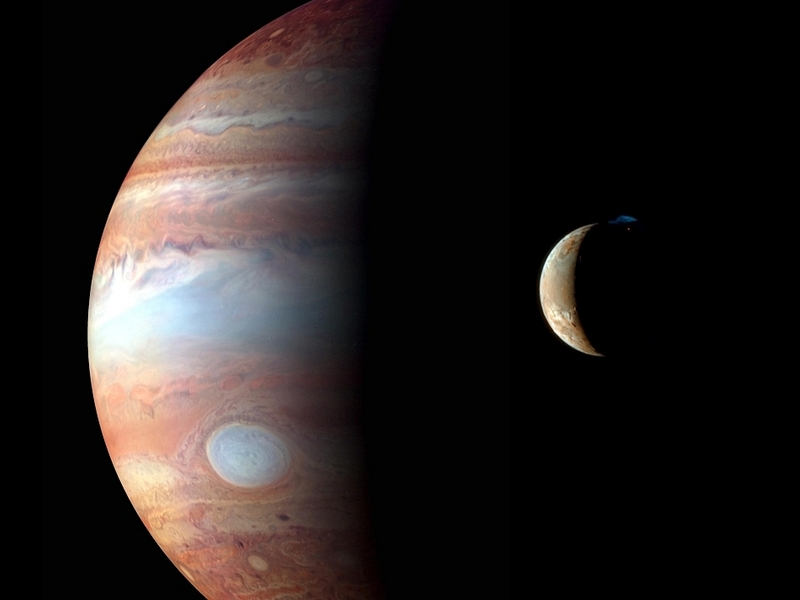 Jupiter has never had that problem: as the biggest kid on the block it commands the skies. Gustav Holst liked Jupiter, he called it the bringer of jollity, and reserved his jolliest tune for that planet in the suite.